Yet, we diminish our energies and our focus, when we “leave” our heart-centered here and now moments, to contemplate and/or remember our future/past, through our mind. As there is an aspect of us that really goes to these “time-periods” or “time-lines” to bring to us whatever we are focusing on. And this leaves our here and now, “power” greatly diminished. And let’s face it, how many of us remember to recall these aspects of ourselves that we have sent out into the future or the past? As the process of ascension intensifies, we are expanding into more of who we truly are. And we are truly multidimensional expressions of the Divine ascending our planetary body, Gaia, as well as ourselves. And the way we ascend and expand is by “living” more of the truth of who we are, through the integration of our experiences and in complete balance and alignment. The remembrance/recognition of our multidimensional expressions. This must be done through growing into living more and more from our heart-centered focus. Rather than through our minds. As it is truly from our heart that our contact to our own Divine Presence exists. And this is the aspect of us that we are integrating into more and more of ourselves throughout the whole of our daily lives. And this aspect of us “communes” with us directly from our sacred-heart center. The more we can stay in our heart-centered focus throughout the day, the more we are living within the here and now. And this is 5th dimensional living. For in the 5th dimensional realms, all takes place from our ever-eternal here and now moments. When we live this state of the “timeless” here and now, we are transmuting and transcending our 3rd dimensional existence. And we are gaining and solidifying the “bridge” that we came to establish. As we came to be the “bridge builders” of this ascension to a 5th dimensional bodily expression of Gaia. Many use the term “pioneers” when referring to those of us that have chosen to manifest this transitional realm of Gaia and humanity. 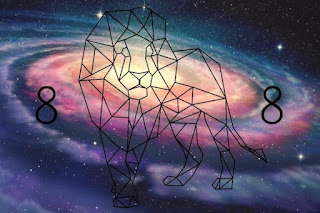 And it is through our “focused” conscious knowledge of our Divine love and joy of service, or “mission,” that we signed up for; that we do/have brought about this 5th dimensional expression of Gaia. As we “live” in the 5th dimensional here and now, moment of time; in joy and unconditional love. Living through unity consciousness, which includes the rich diversity of perfection that all of us, as individuated expressions of the Divine inherently bring to All That Is. And it is this that brings this 5th dimensional perfection back to Gaia through All That Is. We manifest and establish this realm as a permanence in our reality, known as the permanent Golden Age of Gaia. We return Her to Her true “title” as the planetary body known as Freedom’s Holy Star. As we already have aspects of us that are there in the 5th dimensional realms and higher, that are assisting us, in reaching our destination. And in love Divine, no aspect of ourselves ever fails to assist us. For we are all One. Do we trust the way our life unfolds? Remember, our own Divine Presence is taking us to these higher realms. And the expression “The Light of God, never fails!” is in order. As we are the Light Bearers. The Light Beacons for Gaia. Many know us as the Light Workers. And Light Warriors. 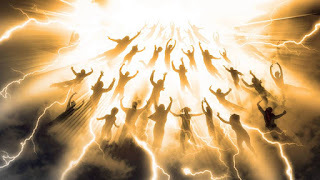 And as such, any that have the feeling of ascending are really “tuning-into” the call of their Divine Presence. Our sacred-heart center, or Higher Heart is calling us. Asking if we desire to return to Oneness. And we are answering the call. What a joy to realize the symbiotic relationship we have with our beloved planet, Gaia. As we both support each other through the process. For we chose to do this ascension together. Many have said that this is the first time in Creation in which this has occurred. A planetary body and their people transcending their realm of focus from that of 3rd dimensional expressions to that of a 5th dimensional realm. All while “living” through the entire process on the planet. And many have said that what we are doing at this time is such a “game changer” that this cosmic day and even universe/multiverse may be at COMPLETION; once we are done. This is when we have so transcended our intended “goal” that the need to “go through” the process changes. And we transcend into, yet another octave as the whole of All That Is. 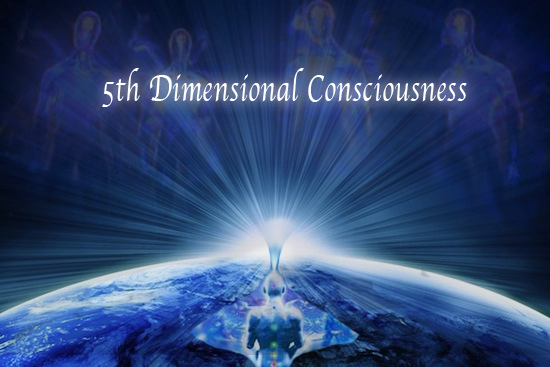 We are told more and more of how those that are within the higher density/dimensional realms at this point are so much more in appreciation and “awe” with how we at this “lower” level of density/dimensional realm have transmuted, integrated and transcended not only our realm. For the “ripples” of our pool of focus that we have Created through this ascension process have been felt throughout the whole of Creation. All That Is, as a whole, has been “lifted” in an ascension far beyond expected, as we Create this from our ever-eternal here and now, moment. Remember, we are UNLIMITED Divine Expressions. We are strewn throughout ALL time, here and now. With all of our multidimensional expressions focusing on integrating, expanding and bringing balance to our particular point of focus. The One for the All, and the All for the One. Back to living through our heart, we really “feel” the difference. As when we live from the heart, we embody our Higher Self. We go into the “feelings” of Love Divine, harmony, peace and so forth, in our here and now, moment. When we try to gain ascension from our “mind”, we “think” we need to learn and understand all that ascension is. And this is a rather lengthy and arduous process that is greatly hindered by our ego consciousness. In other words, we will go into the “slow-track” if we gain ascension through the mind/intellect. Whereas, when we return to our Higher Heart, we easily embody the higher density bodies that we are bringing back, once more. Our Light Body is easily integrated, this way; through embodiment. As the heart, brings about the ascension in the most benevolent and graceful of ways. We “dawn” or embody our Higher Self. Integrating more of who we are, through the simple embodiment of the truth of who we are. Aligning ourselves, here and now in this moment with our Divine Presence and our 5th dimensional and higher expressions. Embodying more of who we are. And we know this is occurring, naturally or inherently, when we are in the here and now. Centering our consciousness in the Sacred Heart. Embodying our 4th and 5th dimensional expression, ever from our eternal here and now, moments. Gracefully bringing about the ascension for Gaia and ourselves. 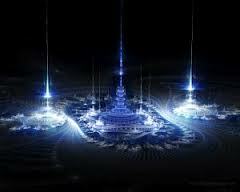 The “bridge builders” of Gaia’s 5th dimensional realm of the permanence of the Golden Age, ever here and now. Remember, where are thoughts are, there we are. What we dwell upon, we become. From within to the without. As above, so below. All, here and now. I personally Honor ALL of my beloved Brothers and Sisters. We have been waiting for ourselves for some time. And now, we are here. Ready, willing and able to bring about the highest expressional “time-lines” for our realities. All from the now of the 5th dimension. In Love Divine. With the assistance of our multidimensional expressions. Some, in other realms or dimensional experiences. Some, in space or throughout the galaxy assisting from above. Some, already in the higher dimensional realms of Gaia. For the Light of God Never Fails!